Have you noticed the Netflix catalog of movies and television shows getting smaller in recent years? If so, we now know why, as the number of titles available on Netflix has shrunk in half since 2012. This is according to Exstreamist, which has compared the number of titles available on Netflix right now to the number of titles available on Netflix in 2012. 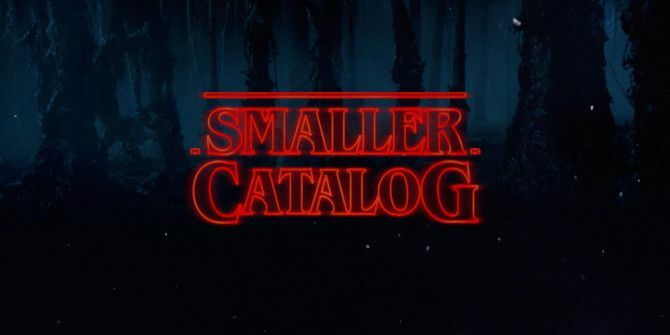 Its sources — people who used to work for Netflix — claim the catalog has shrunk in half over the last four years. In 2012 there used to be close to 11,000 titles (movies and TV shows) available on Netflix in the U.S. Now, according to uNoGS, there are 5,302 titles available. If these two numbers are accurate, this means Netflix has shed more than 50 percent of its content in just four years. The reason for this reduction in the number of titles is obvious. In 2012, Netflix only offered third-party content you could also watch elsewhere. But now, in 2016, Netflix is producing more original content 13 New Netflix Originals You'll Be Watching in 2016 13 New Netflix Originals You'll Be Watching in 2016 Netflix has released a lot of original content -- including House of Cards, Orange Is the New Black, Narcos, and Master of None -- but 2016 is slated to be Netflix's most exciting year yet. Read More , such as House of Cards, Orange Is the New Black, Jessica Jones, and Luke Cage. Original content doesn’t come cheap. Whereas buying in content that has previously aired elsewhere is generally much better value for money. So Netflix has chosen quality over quantity, removing old movies and TV shows to make way for (and fund) original programming. It’s a risky move from Netflix, but one that seems to be paying off. Its original shows are winning awards, making headlines, and (crucially) keeping people subscribed to the service. After all, if you ever want to see the second season of Stranger Things, you’re going to have to stick with Netflix. What Do You Think of Netflix? If should be noted that our writers have mixed feelings on Netflix. While there are some legitimate reasons to consider getting rid of Netflix 7 Reasons You Should Avoid Subscribing to Netflix 7 Reasons You Should Avoid Subscribing to Netflix Just as there are pitfalls to cutting the cord, there are downsides to Netflix you might consider to be deal-breakers. So before you sign up to Netflix, take a moment to consider these imperfections. Read More , there’s also a solid argument for paying more for Netflix Why You Should Be Happy to Pay More for Netflix Why You Should Be Happy to Pay More for Netflix Every time Netflix increases its prices, millions of binge-watching users balk at the prospect of paying a couple of dollars more. But this is dumb, because Netflix is an absolute steal. Read More . We recommend you read through both articles and make your own mind up. Have you noticed a reduction in the number of movies and TV shows available on Netflix? Has Netflix removed one of your favorite movies or TV shows within the last few years? Do you watch any of the original content only available on Netflix? Please let us know in the comments below! I'm thinking about cancelling my Netflix subscription. I'm not a fan of their original content. I think they tend to be boring and pretentious. I'm at the point now where I automatically give the Netflix originals a one star rating even if I haven't even seen it. I blame the movie giants for this since they were essentially asking enormous fees to "allow" Netflix the "honor" of offering their content on the service. I applaud Netflix for this move on their part as it will probably be cheaper for them and better ROI for the company. I would hope they are able to keep enough of an interesting content catalog alive and will continue to keep them for now since I am happy with the service. its hard to find an all-in-one service though and often find my fix on Amazon Prime. In the long run, if I see i am spending more money that simply getting an expanded channel package on my cable provider then I will need to move to simply getting the expanded channel package instead of collectively paying for services like Netflix, Amazon or Hulu. Time will tell. That's a good point, and I can follow your logic. However, it means you're missing out on good stuff such as Stranger Things and Orange Is the New Black! I keep seeing so many references to Stranger Things that I guess it's supposed to be good. What I see in the actual show is a bunch of kids who haven't learned to act yet, Wynona Ryder, who hasn't either but makes up for it by overacting, and nothing much of interest other than 80s nostalgia which, if you didn't grow up in the 80s, isn't riveting. I guess people who did grow up then are the demographic Netflix is aiming for, but there are still more people around who didn't, and who aren't being well-served by Neftlix's original programming. In particular, the overwhelming focus on "supernatural" themes is getting old. My wife and I enjoy a fair amount of their original content, access to a good variety of old TV and new network TV series for re-run background TV but especially enjoy it for the great variety of kids content. If you do a cost/benefit, for $10/mth, we're probably getting - as a household - 10-20 hours of service a week from them, for $2.5/week. We don't have any sort of cable TV (cord cutters) so this is a basement bargain as far as we're concerned - and with new and original content streaming in, it continues to offer value in new ways. I'm more concerned about movies, especially newer releases , the primary reason we got Netflix. While we are still finding the occasional unknown (to us) independent or foreign gem, the total number of movies, especially newer releases, seems to be shrinking. More disturbing, more and more movies introduced each month are grade B (and lower), and have already been broadcast on regular network television. We find reruns of major network TV series occasionally attractive, and we enjoy a few of the Netflix original series. New original Netflix content will not be enough to keep us subscribing if movie offerings continue to be reduced. I have also noticed less movies being added to Netflix in recent months. I suspect it's because of the emphasis on binge-watching, which is better suited to TV shows with multiple seasons than movies. If they buy a movie, you'll watch for 90 minutes. If they buy a TV show you'll watch for 10, 20, or 30 hours. Which Netflix Originals do you like? Depends on the family member you talk to: Longmire and Marco Polo are two I enjoy. Planning to try House of Cards. Very seldom binge watch. When I do rather watch two or three movies instead of several episodes of a tv show. If there ended up being 12 Netflix Originals you and your family enjoyed would that justify the monthly cost? Like, you'd watch one on average every month. Netflix clearly thinks original content is the way of ensuring its future. The original content...meh. I honestly can't say that I'm watching any of it, but if it appeared to be interesting to me I would. I rarely even notice if a certain show is original Netflix content or not, so who knows? I may be watching some of it and just not know. I'm more of a binge watcher of old favorites, and a movie lover. It doesn't really matter if certain shows I've enjoyed disappears...there's always something I can find that's interesting. After cutting the cord (figuratively, because I was on a satellite provider) a couple years ago and dropping from a $70+ bill every month to $12 a month...I don't have anything at all to complain about with Netflix. I guess I have a different perspective than some when it comes to justifying the cost of Netflix. With satellite I was paying for lots of duplicate channels, channels in a language I do not speak, and sports channels I have no interest in, plus the hardware involved. Netflix is virtually free compared to that, and at my current price I have HD on four devices at all times. How much cheaper can you expect something that you could literally watch 24/7 on four different TV's to be? When I disconnected the satellite service, the customer service person who handled that asked me why I was leaving. I told her that if I only had to pay for what I was interested in watching, then I would probably have stayed. She told me that a' la carte pricing is the number one issue people bring up when discontinuing service. They really had to wonder? I suspect cable companies will have to start offering a la carte options in the future, when the revenue lost from people cutting the cord exceeds the revenue made from forcing people to pay for crap channels they're never going to watch. I agree with you that Netflix is well worth the cost right now. But it's still shocking to discover it has cut its content in half in just four years. I agree with your a la carte programming reasoning. I've been watching for it actually for some time now. (That's because every time I leave a service over a specific issue...they fix the issue as soon as I'm gone. :D :D :D ) I'm really amazed that with the great number of people who have already switched, their pricing structures really haven't changed much, if any, at all. I get your reasoning on the Netflix cuts too. I just hadn't taken time to put some numbers on the process, so thanks for informing us! That will make us more watchful in the future so that maybe we can foresee bigger problems before they come over the horizon. That's why I only subscribe a few times a year. Binge what I missed then cancel and repeat a few months later. It's not worth keeping for a year with how much they've gotten rid of. That's... genius. So, you only really pay for maybe three months out of every 12? Netflix will realize too late this is a bad idea. Their original content isn't good enough to justify the per month cost. I agree! Are you listening Netflix? I don't watch very much of your content. In fact, I think there's only one I watch: Longmire. I want movies, and newer movies too! (And Longmire.) Most of the original content I've tried doesn't do anything for me. As I said in a previous comment it does seem that Netflix is buying more shows than movies these days. Probably because of the opportunity it gives people to binge-watch, which you can't do with movies. Which original shows have you watched so far? Stranger Things is excellent, and I've heard nothing but good things about Orange Is the New Black.